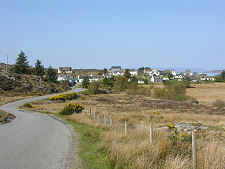 The small crofting township of Duirinish is found just under four miles north east of Kyle of Lochalsh and just under a mile south west of Plockton. The most direct road between the two passes through Duirinish, and that is how most people encounter this enchanting little place. 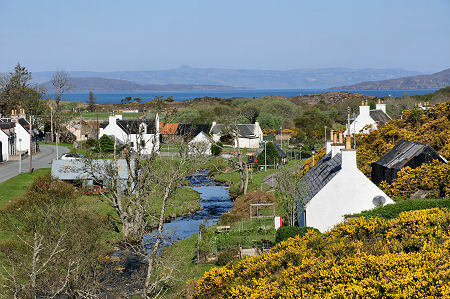 You are unlikely to find a better preserved crofting township anywhere in Scotland. 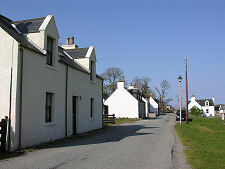 The township stands a little back from both the north and south banks of the Allt Dhuirinish. The result is what at first can appear like a village wrapped around its village green, though here the "green" is part of the pasture and the little river is in a beautifully natural state. 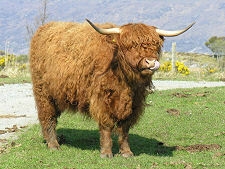 Until 1802, the land around Duirinish was all farmed as a single unit. In that year a crofting township was formed and some 50 acres of arable land and over 750 acres of common grazing was divided between six crofting families, some of whom had been displaced from their previous homes by the clearances. 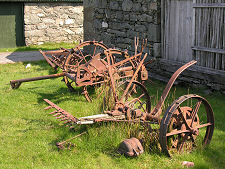 Later in the century the land was divided again, to allow more families to be supported. 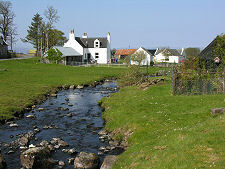 In 1891 the Census recorded 107 people living in Duirinish. Of these, 42 lived on the north side of the township and 65 lived on the south side. 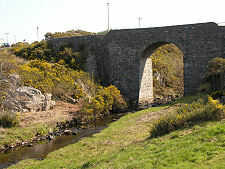 In 1897 the railway arrived in Duirinish en route from Inverness to its terminus at Kyle of Lochalsh. 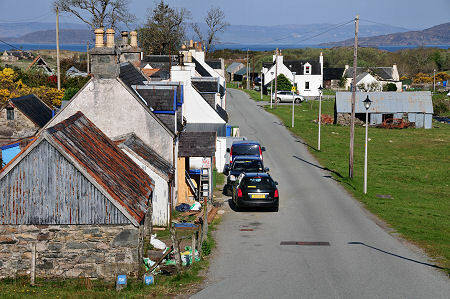 The village briefly boomed as a commercial centre for a wide area, with one account reporting no fewer than three butchers operating in the village alongside two grocery stores and an undertaker. This all came to an end with the advent of World War One, whose aftermath saw the population of Durinish fall significantly. In World War Two, part of the arable land to the west of the township was requisitioned for use as an ammunition store by the Admiralty, which was serviced by the railway. 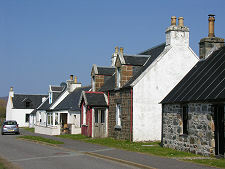 The decline in population continued during the second half of the 1900s, but despite this Duirinish today has a feel of a community which has retained its traditional character. In many parts of the Highlands, somewhere as beautiful as this would have seen the resident population displaced by holiday homes or self catering. 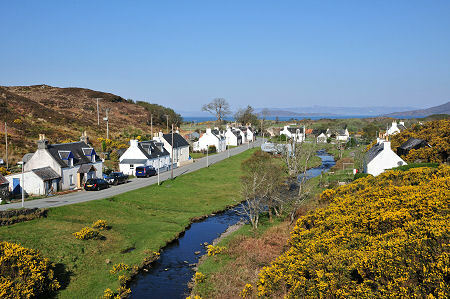 Duirinish continues to support a resident population of around 20, while the neighbouring township of Drumbuie likewise seems to cling to its crofting roots. Duirinish is one of those rare "catch it while you can" places. It would take just one misplaced modern kit house or grand design to destroy its unique visual appeal. It is a place that deserves to be cherished.